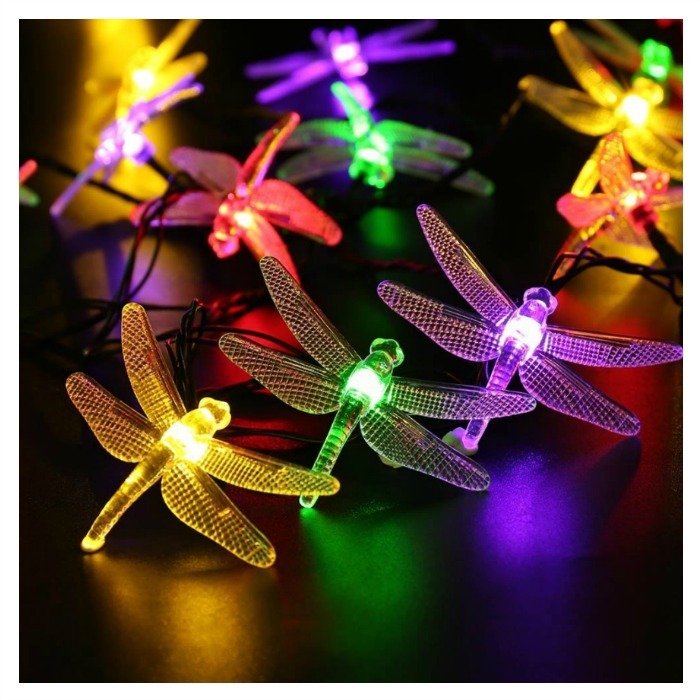 Qedertek Dragonfly Solar Lights Just $7.14! Down From $20! You are here: Home / Great Deals / Amazon Deals / Qedertek Dragonfly Solar Lights Just $7.14! Down From $20! Amazon has these Qedertek Dragonfly Solar Lights for just $7.14 (Reg. $20) when you use promo code VKS5JWQD at checkout! Special Appearance — Special dragonfly-like appearance makes your environment stand out. Automatically — Put under sunshine during the day, and it begins to light up at night automatically when power on. Long Working Time — Continuously working for 8 hours at night once rechargeable battery is fully charged. Easy to Use — 2 buttons to control. One for power, another for 8 modes to choose from. Attention — The solar panel must remain directly exposed to sunlight for a whole day to conserve sufficient solar power before first use. Plus, to ensure sufficient solar energy to be stored for the lights to function smoothly in winter, panel should be fully exposed to sunlight as well.